Many places are special to us and our families. Most of the Srajer and Schrier families have a strong faith as Roman Catholics. 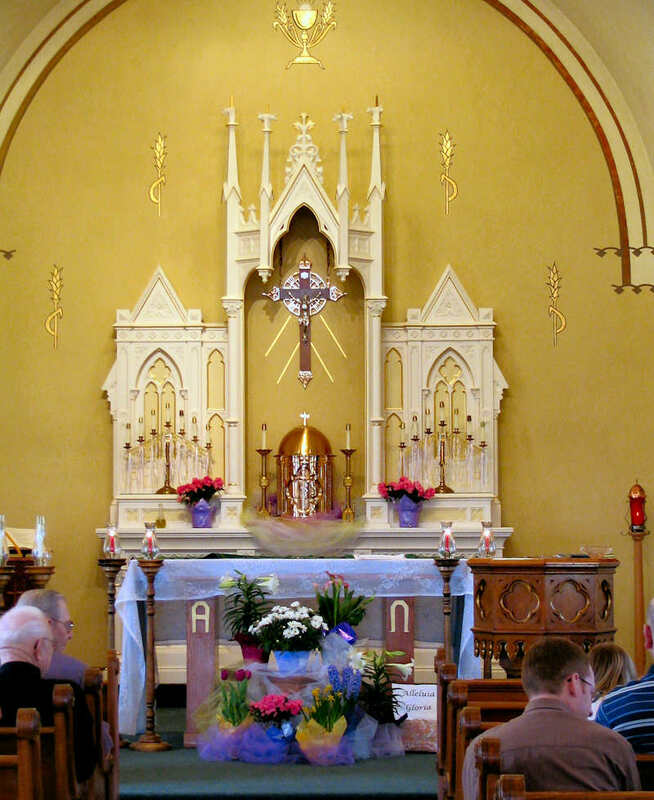 We identify almost as much with our local parish church as we do with our own homes. 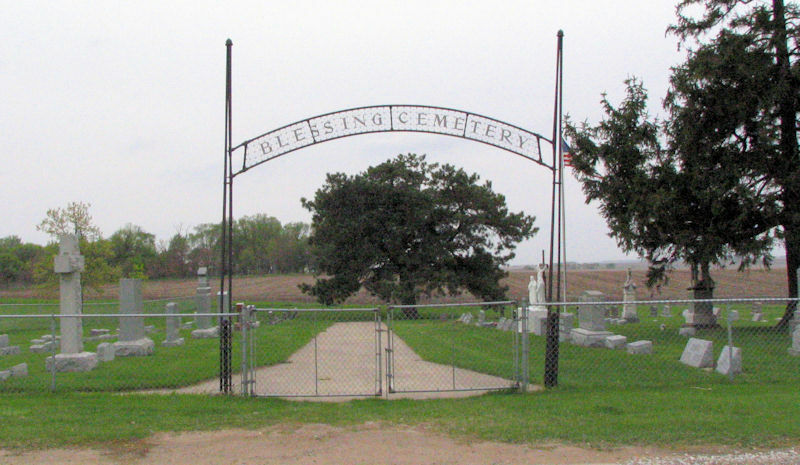 “Blessing” Church is in southern Black Hawk County, Iowa. 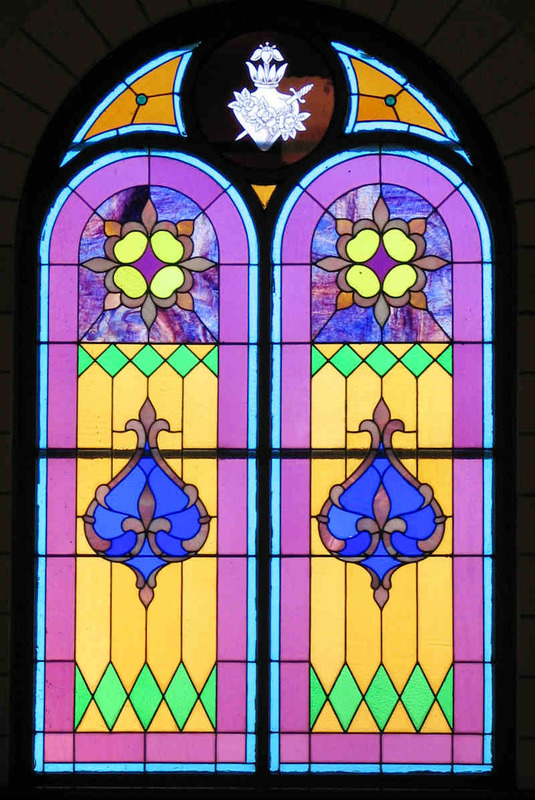 It was the family parish of the Schrier family for five – almost six – generations. The parish was founded in 1875 and was closed in 2006. Some photos of the parish are at the bottom of this page. Blessing appears to have been named for James Blessington Dunn, a storekeeper and postmaster. A small village grew up around the intersection of the country road and what is now U. S. Route 63. The Blessing Church is on the Southwest corner of that intersection. Even when I was a child, there was an old building directly across Route 63 to the East from the Church. There were several houses in the area, including one owned by long-time resident Roy Thornton. The original church was probably built in the early 1880s, but was destroyed by fire in 1906 or 1907. I still remember my grandmother Kathryn Griffin Schrier talking about how birth and baptismal records were also destroyed in that fire. A more complete history of the parish is in the article from the Witness (the newspaper of the Archdiocese of Dubuque) shown at upper right. Click the photo to view the article. Frank and Maria Solil Srajer purchased the Schrier family farm Northwest of Buckingham, Tama County, Iowa. That farm, which is still in the Schrier family, is about a mile south of the Tama-Black Hawk County line, and about 3 miles Southwest of Blessing Parish. 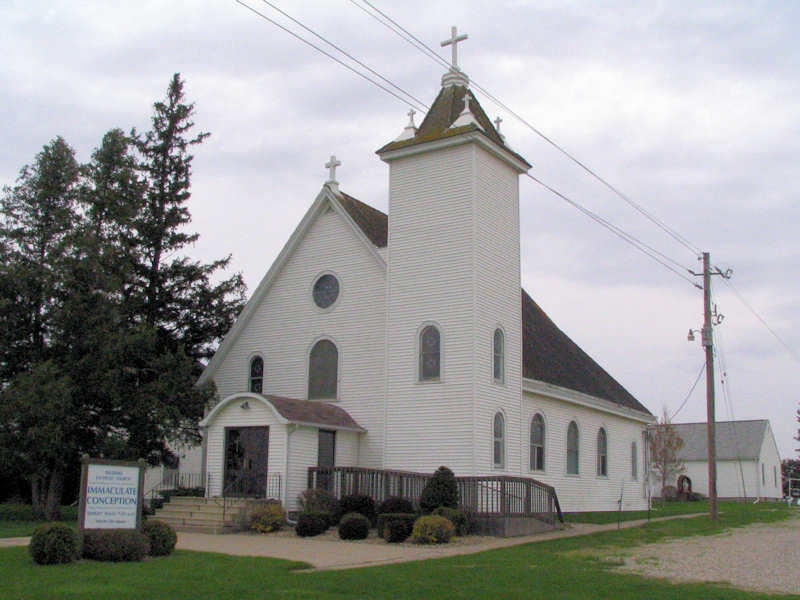 Frank and Maria always went to Sunday Mass to a Czech-speaking Parish, St. Wenceslas (St. Vaclav in Czech), located between Traer and Clutier Iowa, and they are buried there. Although they purchased the farm in 1900, they did not move there until some years later. It is unclear whether they attended Mass at Blessing on a regular basis. Their son Joe Schrier married Kathryn Griffin in 1921 and took over the farming operation. Kathryn Griffin lived for a time just north of the Schrier farm, right on the Black Hawk-Tama County line. Certainly the Griffin family were members of Blessing Parish. In those days, there was a bit of rivalry or animosity between the Czech and Irish communities in the area. 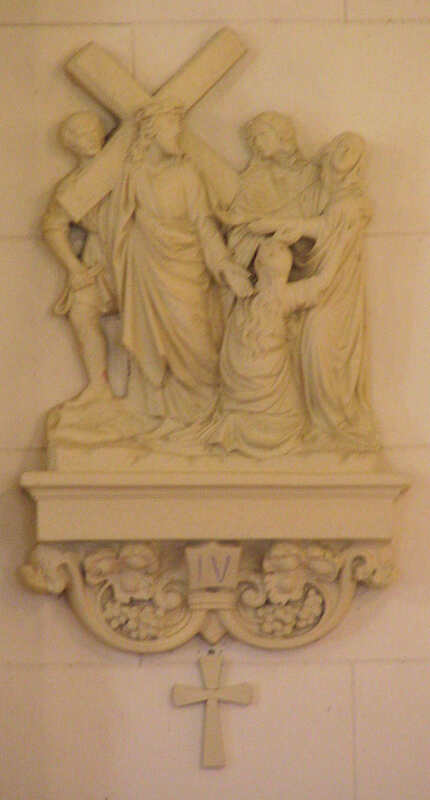 Joe probably started to attend Blessing Parish even though his father and mother continued to attend at St. Wenceslas. Joe and Katie’s sons Bob and Jim were lifelong members of Blessing Parish. Jim and Joanne Schrier still occasionally attended until it closed. Bob’s son John and Martha, and their children Sarah, Olivia and Michael were members of the parish until it closed. Bill Schrier’s granddaughter Alexandria Garrow was born in Seattle, and was to be baptised in Blessing Church, but unfortunately it closed in June, 2006. Alexandria was baptised in July, 2006, at nearby St. Mary’s of Mt. Carmel in Eagle Center. The Church building is still standing, but has been sold and is now an art studio. Many Schriers and relatives are buried in Blessing Cemetery, which is just West of the Church and is still active. Joe Schrier, then Bob Schrier and now John Schrier were sextons of the cemetery. Bob and Merce, Joe and Katie, and Katie’s parents James and Mary (Boyle) Griffin are buried in the cemetery. Most of Bob and Merce’s children, although they now live away from the parish, have burial plots in the cemetery. There is a listing of the names of people buried in the cemetery here, but it contains many errors. A much better listing is at Find-A-Grave here. Blessing Cemetery A Station of the Cross .